New by Montego is the Field and Forest dog food. Made with high-quality ingredients and no grain. 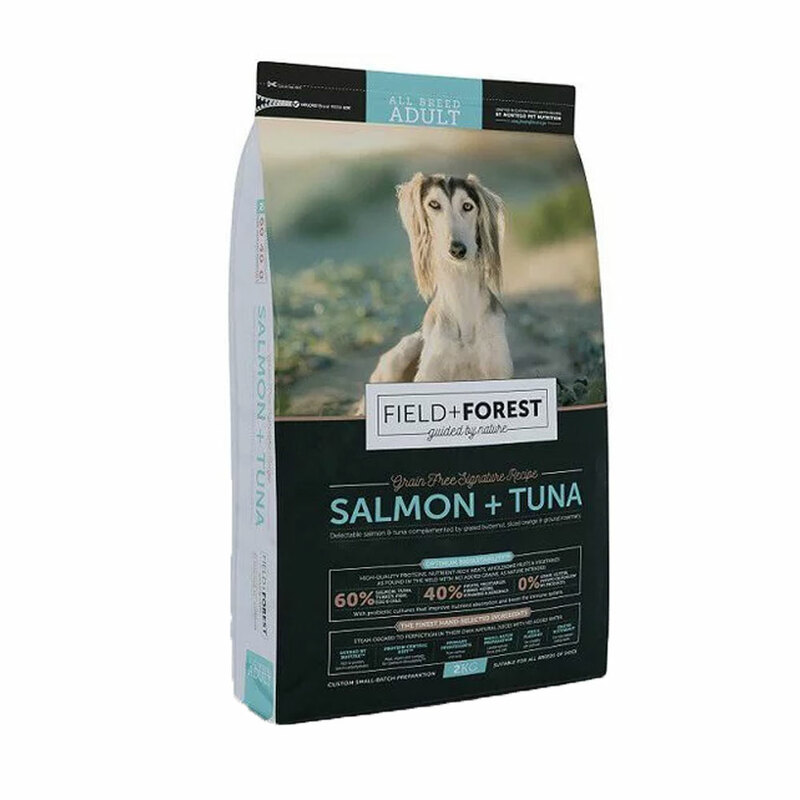 Field + Forest All breed Adult Salmon and Tuna is made with delicate salmon and tuna, a side of grated butternut, sliced orange and a touch of ground rosemary. 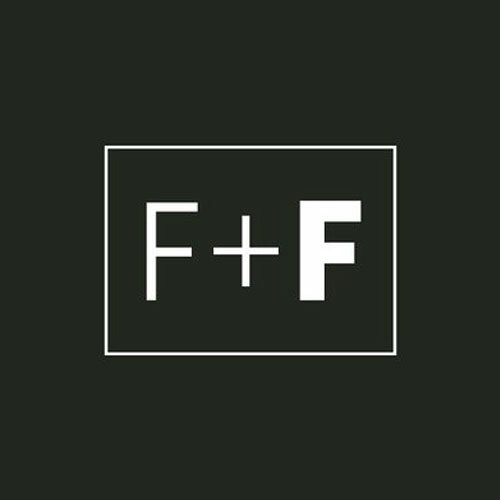 Field + Forest is made with high-quality proteins, rich in nutrients, has wholesome fruits and vegetables and because this food mimics what ancestral dogs ate, no added grains. Field + Forest only uses the finest hand-selected ingredients that are steam cooked to perfection in their own juices with no added water. The food has 60% protein from meat, organs, cartilage, eggs and oils, providing your fully-grown dog with everything they need for performance and contributes to overall conditioning, well-being and supports their immune system. 40 % Fruits, vegetables, Fibres, Herbs, vitamins and minerals. Small batch preparation – Limited runs for focus and craft. Fish and Flaxseed – For healthy skin and a shiny coat. Flaxseed and fish oils contain omega-3 fatty acids, including DHA for brain and eye development, supporting the healthy development of cognitive learning and retinal function. Rooibos extract is rich in powerful antioxidants which help boost the immune system and promote healthy blood circulation. Peas provide mostly insoluble fibre that helps control appetite, making puppies feel full for longer. Peppermint stimulates the stomach and bile production. Probiotics are beneficial bacteria that improve nutrient absorption and boost the immune system. Butternut provides added nutrients such as vitamins and minerals which can help keep kidneys healthy. Oranges provide an abundance of vitamin C & A for healthy brain function and to maintain healthy vision. Rosemary contains antioxidants which help neutralise cell-damaging free radicals in the body. Chickpeas are high in dietary fibre and protein as well as rich in vitamins and minerals, which helps promote a healthy digestive system. Apples are a great source of fibre, vitamins and minerals, particularly potassium. Oregano is high in antioxidants and flavonoids and may aid in digestive disorders. Tuna (20%), salmon meal (15%), turkey meal (10%), whole green peas (10%), white fishmeal (5%), whole egg, cellulose, chicken fat, whole chickpeas, grated butternut (4%), carrot slices, sliced orange, hydrolyzed ostrich liver, shredded apples, flaxseed, fish oil, sugar beet pulp, inulin, salmon oil, cranberries, marine algae, encapsulated fatty acids, milk thistle, ground oregano, ground peppermint, ground rosemary, rooibos extract and bacillus subtilis as a probiotic. Nutritional additives: Vitamin A 15 000 IU/kg, Vitamin D3 1 500 IU/kg, Vitamin E 275 IU/kg, Vitamin B complex 200mg/kg, zinc 100mg/kg, manganese 20mg/kg, iron 125mg/kg, copper 20mg/kg, iodine 1.5mg/kg and selenium 0.5mg/kg. Ensure fresh water is available for your dog at all times.